Home/Timeline/Bishop Donahue offered the first Mass. Bishop Donahue offered the first Mass. 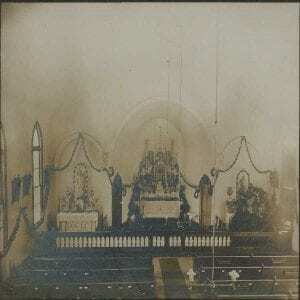 Inside of the old church decorated for Christmas in 1901.